← What Are The 3 Stages of the Resurrection? I had the privilege of taking four classes from Dr. J.P. Moreland while a student at Talbot in the late 80’s and early 90’s. Honestly, I had an easier time understanding Dr. Moreland when he lectured than reading his books. J.P. is a deep thinker, brilliant philosopher, and most importantly – an ardent follower of Jesus. While in school I read his book Christianity and the Nature of Science three times before I really got the gist of what he was saying. The Soul is a wonderful primer on the case for the existence of the soul in a sea of naturalistic thinking. I am constantly dealing with proponents of physicalism or scientific naturalism as I seek to share the gospel with those who do not believe in God or the soul. I found that Moreland’s book was still challenging to read, but well worth the effort. The book gave me a good overview of the worldview of the proponents of scientific naturalism, and the case to be made for the soul known as substance dualism. 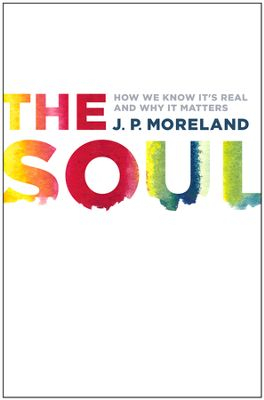 Moreland constructs a strong case of both biblical and non-biblical arguments for the existence of the soul. I highly recommend this book especially for college students and Christians who regularly engage in evangelism and apologetics. It is great place to start before getting into some of the more formidable books on the subject by Moreland such as his Philosophical Foundations for a Christian Worldview; Debating Christian Theism; Consciousness and the Existence of God; Christianity and the Nature of Science; and Body and Soul. Moreland knows his stuff. He has put the cookies on the bottom shelf in this book to help Christians understand the importance of the soul’s existence and how to present the case for the soul with skeptics.